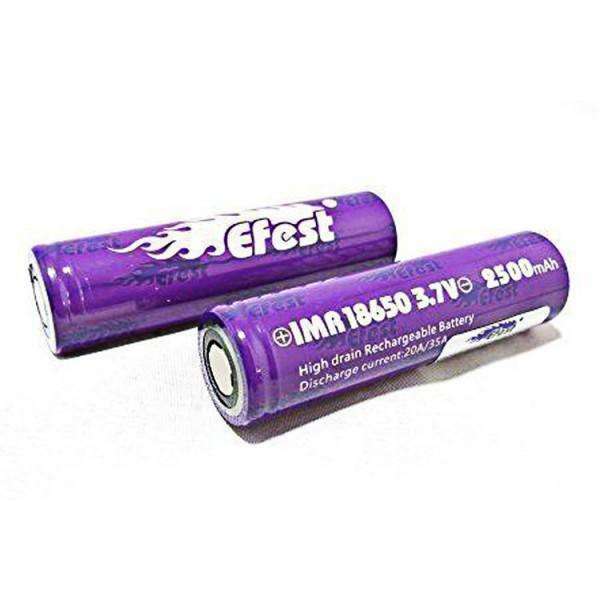 The Efest IMR 18650 2500mah 35amp Flat Top batteries are the newest and most powerful battery Efest has made to date! These 35amp high-drain batteries are a cloud-chaser's dream, and sure to please the most advanced vape hobbyists out there. We order DIRECTLY from Efest, so we guarantee that these batteries are 100% genuine!